The pointed end of Vogel crystal is the spot from where gush of energy exits. Chakra stones revive your chakras and in combination with Vogel crystal, you move towards your desired goal. 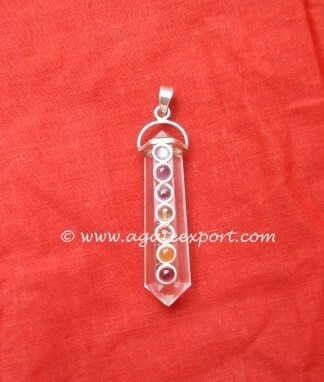 Agate Export is pleased to offer you our huge collection of Vogel Crystal Pointed Chakra Pendant.